There were winners off the track in Saudi Arabia too as the champion of the ABB FIA Formula E Road to Ad Diriyah Esports Championship picking up a cool $125,000 in the process. 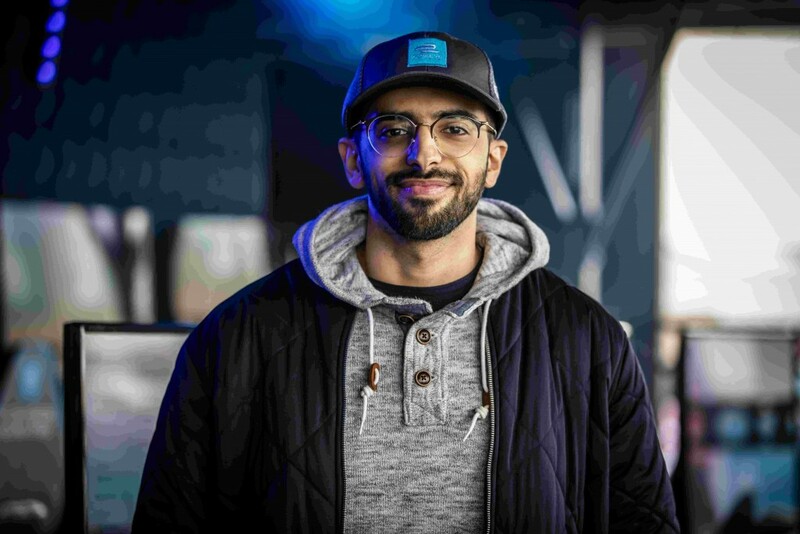 It has been a competition which had whittled thousands of competitors online from across the GCC, and Saudi Arabian entrants from Formula E roadshows in Jeddah and Khobar, down to just eight competitors, all from the Kingdom. 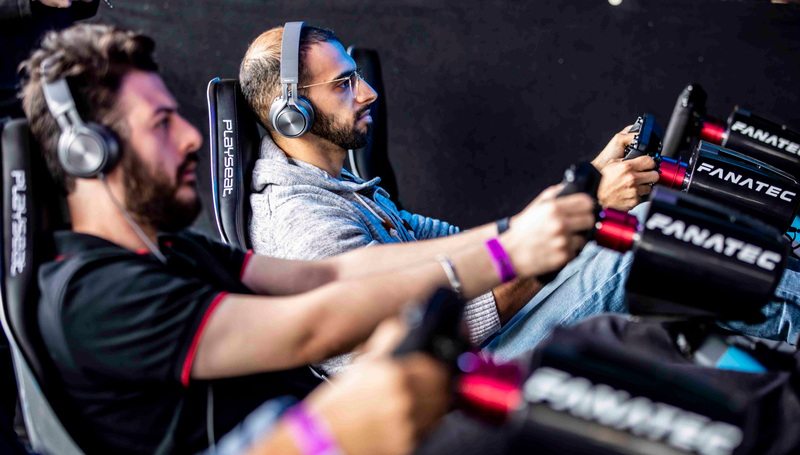 On the line in the exciting eSports competition was a prize pot of up to SAR1million ($250,000) held in the Allianz E Village, just one of the attractions surrounding the 2018 ‘Saudia’ Ad Diriyah E-Prix at the stunning UNESCO World Heritage site. The contest featured celebrity Saudi gaming influencer Mr FIFA who helped bring the action alive for the spectators. Unlike the live action on the race track, with the drivers battling it out to win until the dying seconds, Ad Diriyah’s virtual champion took the lead early on and held it throughout. Yasser Al Mansour, from Fara’a, a small town a few hours’ drive from Riyadh collected a cool SAR500,000 as his first-place prize, beat Mubarak Al-Dossary, from Dhaharan, who came second and won SAR250,000, and Abdulaziz Rayes, from Jeddah, who finished third and scooped SAR125,000. The champion, who collected a cool SAR500,000 as his first-place prize hailed the event, which was supported by the Saudi Arabian Federation for Electronic & Intellectual Sports (SAFEIS). “This eSports tournament is amazing. Not only is eSport a popular among Saudi youth now it can be used to introduce countless people to the world of motor sports. The simulators we raced felt like real life,” he said. 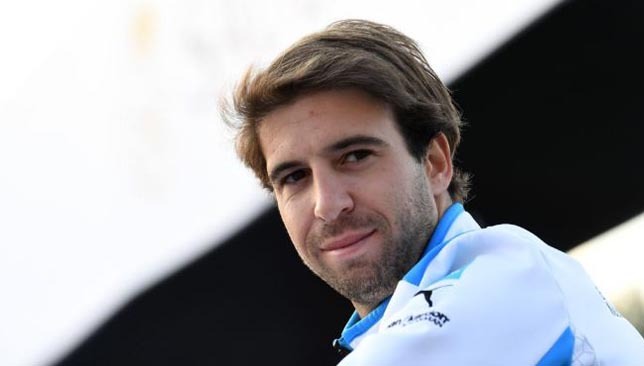 Antonio Felix da Costa fended off Jean-Eric Vergne to win the season-opening Formula E race at Ad Diriyah. Jerome D’Ambrosio of Belgium crossed the line in third to complete the first podium at the inaugural race in Saudi Arabia. Here, we look at the key talking points. The Portuguese driver was in outstanding form, cruising to just his second career win and first since Buenos Aires in 2015. Starting from pole position, Da Costa looked like he was bossing the race and was under little pressure from the rest of the field. But Vergne came storming back and took the lead briefly midway through the race until he was slapped with a drive through penalty for a technical infringement. Despite sustained pressure from a resurgent Vergne late on, Da Costa held on for BMW Andretti’s maiden triumph in the all-electric race series. Victory in Saudi Arabia represents a serious boost for the 27-year-old who had been dogged by poor form and inconsistencies with the car over the past few seasons. Could his win in the Gulf be the start of something special? The Frenchman demonstrated why he is the defending Formula E champion with a scintillating drive. Starting from fifth on the grid, the 28-year-old soared around the side of Andre Lotterer, Sebastien Buemi and Da Costa to take the lead at the halfway stage of the race. Leading with 18 minutes to go, he was slapped with a drive through penalty for overpower during regeneration and returned out in fourth. But a safety car late on helped and he was able to pass d’Ambrosio to seal second place and a 16th podium of his career. It was a positive start to the season for the Paris native, who signed a new multi-year deal with the DS Techeetah squad on Friday. One of the stars of qualifying, the Belgian started on the third row and looked comfortably quicker than anyone else in his qualifying group. However, he struggled in the race and dropped from fifth to 17th. In fact, he did little to threaten any driver in front of him during the race and he lacked any form of pace around the tight Ad Diriyah circuit. After two sub-par seasons in Formula One, it’s hard to criticise the 24-year-old in his maiden Formula E race and he will only improve as the season develops. Even in less than ideal conditions, the local fans came out in their droves to watch the inaugural Formula E race in Saudi Arabia. And it did not disappoint either, with the race proving to be a thrilling spectacle around the narrow track outside of Riyadh. The season-opening race in the Kingdom represented a new chapter for the sport in the region and adds to the growing list of sporting events currently taking place throughout the year. Furthermore, it’s a major boost for motorsport in the Gulf to have a race in Saudi Arabia and adds to the exciting races that already take place in Formula One with Grand Prix in Bahrain and the UAE. Season five of the Formula E electric single-seater racing championship kicks off this weekend in Saudi Arabia. Here is everything you need to know about the sport. What’s the difference between Formula E and F1? Formula E and Formula 1 are both from the same family, but they are completely different for several reasons. 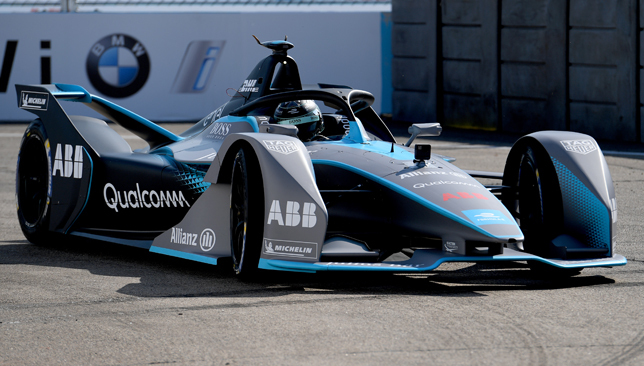 Formula E drivers all race in the same car, with the same battery packs and tyres, therefore racing is closer and competitive than Formula One. The competitiveness and the tightness of circuits in places like New York, Paris, Rome, Zurich and Hong Kong means the racing is fun and each race tends to generate a different pole sitter and podium. In the 2017-18 season, for example, there were five different winners in the 13 races. What’s more appealing for fans is the race is over in one day unlike a F1 race which generally takes place over three days between free practice one on the Friday and the race itself on Sunday. There are also several interactive aspects of Formula One where you can vote for your favourite driver and they can get a five-second power boost. The first race of the season takes place in Riyadh on Saturday. The series features 13 races in 12 cities – including exciting street races in the likes of Hong Kong, Paris and New York – with the season finishing in Brooklyn in July. How does race day work? Formula E is unique in that the practice, qualifying and the race all take place on the same day. Race day generally starts around 10:30 in the morning with free practice, which lasts no more than 45 minutes. This is followed by second practice for 30 minutes and then qualifying. Drivers are divided into groups at random and qualifying lasts for an hour maximum. Each driver has six minutes to set a time. From this, the top five drivers go into the ‘super-pole’ – a final qualifying session – which determines how the drivers will line up for the race. Qualifying is finished by 2pm and the race takes place in the afternoon. Formula E follows the same points system as other race series – it’s governed and run by the motor racing’s official body, the FIA. The winner of the race gets 25 points, second gets 18 points and third receives 15. The top ten finishers all receive points, with tenth place getting just one point. What do the cars sound like? The high-pitched noise of a Formula E car is like that of a plane taking off. While the cars are still loud, they are quieter than Formula 1 cars which helps to allow the races to take place in more heavily populated areas. Which teams and manufacturers are involved? 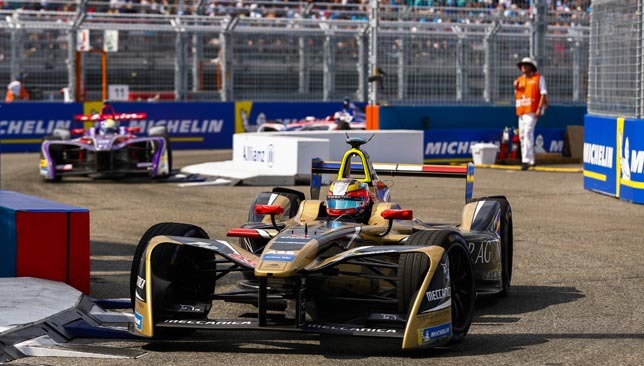 Formula E features 10 teams, including representation from car manufacturers Audi, DS, Jaguar, Mahindra, Venturi, Penske, NIO, BMW, Nissan and Andretti. The battery which is used by every Formula E car was designed by Williams. Who are the leading drivers? The reigning champion is 28-year-old Jean-Eric Vergne, who was the youngest ever French driver to compete in Formula One when he joined Toro Rosso in 2012. Stoffel Vandoorne joins up with HWA Racelab after two years in Formula One with McLaren. The Belgian struggled alongside Fernando Alonso last season and was thus replaced by youngster Lando Norris. Still armed with plenty of potential, the 24-year-old could be a force in his maiden Formula E campaign. 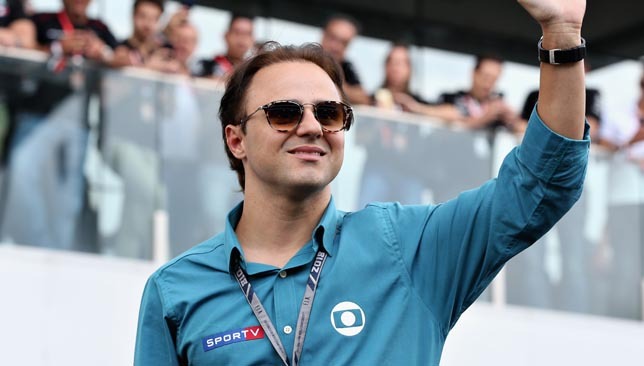 Another driver expected to shine is Felipe Massa. The Venturi driver managed an impressive 269 starts, 41 podiums and 11 wins during his 15 years in Formula One. Although he is 37, the Brazilian should help improve Venturi’s seventh place finish from last season. Britain is well represented with five drivers on the grid. Sam Bird (Virgin Racing), Oliver Turvey (NIO), Oliver Rowland (Nissan), Gary Paffett (HWA Racelab) and Alexander Sims (BMW) will all line-up against each other this season. Bird, in particular, looks a real gem, finishing third last season and picking up wins in Hong Kong and Rome. You can watch Formula E races online at the Formula E YouTube. Highlights will also be available on the Formula E Twitter.